Looking to get in shape but in a way that’s actually not dreadful? 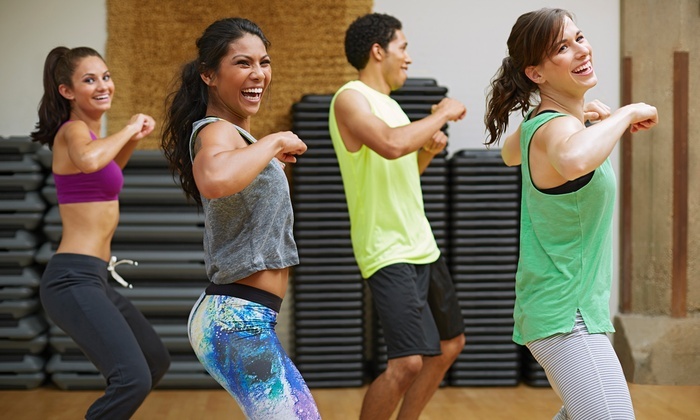 Well Groupon currently has a deal for up to 80% OFF 5 or 10 kickboxing or Zumba classes at Anytime Fitness! Come get in shape with the muscle-toning jabs, kicks, and punches of kickboxing, or the hip-shaking dance moves of Zumba! This is the perfect way to come get in shape, while also having fun! At such a great deal, how you can say no to classes that will get you in tip-top shape! The link below will take you to the Groupon for this amazing offer!